For the cocktail feature in The Bee Issue of STUDY, we had the pleasure of working with Travis Owens, mixologist and owner of one of our favorite spots in Columbus : Curio. Travis was kind enough to share his modern day take on the classic Penicillin cocktail which lists pollen as one of it's many intriguing ingredients. Curio provides an intentional atmosphere with their decor, use of local ingredients and a few suggestions to make the most of your experience there including our favorite which urges guests to keep off the phone and enjoy the company you're with. The folks here are kind and always ready to suggest a cocktail if you're feeling indecisive or experimental. 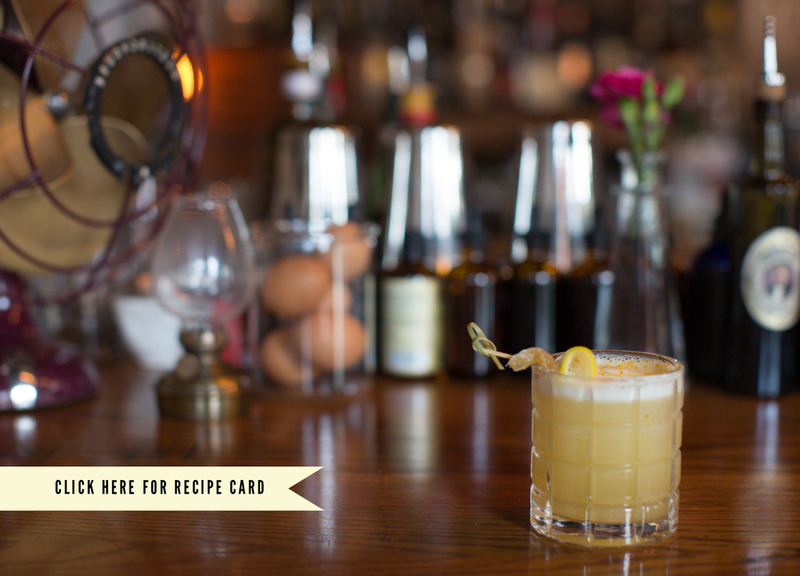 We highly suggest visiting this fine establishment and nursing a Penicillin there, but have also included a recipe card below for a visit to your own bar cart. *Cocktail tip : when possible, begin with the cheapest ingredient first so it doesn't hurt as much if you goof and need to start over.